To make an impact as a brand, setting the right example is important. Your good brand behavior influences others to do the same. Platoon Kunsthalle (Seoul, South Korea) is a cultural development space that wants to change the world through culture. With their modular and movable shipping-container concept they can locate themselves anywhere in the world. They’ve built an international network of creatives that work together to make a greater cultural impact. 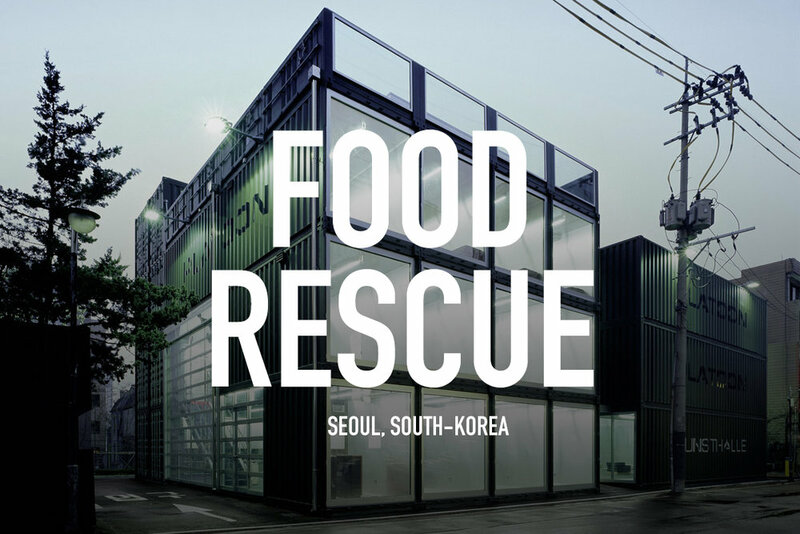 Just like in most countries, in South Korea, food waste is a big problem. Having been part of the Seoul lifestyle for a few months, we’ve noticed that an important aspect of the Korean culture is eating out with colleagues every day. Showing respect for and authority over your co-workers means ordering big tables of food, which never gets eaten and so becomes waste. We asked ourselves, how could we use cultural development and the creative network to develop awareness around this issue? During the Platoon flea-market, we hosted the event ‘Food Rescue’ to create awareness that second-hand food is as valuable as second-hand clothing. Visitors were asked to bring their leftovers from home: fruit, vegetables, fish, meat and so on. 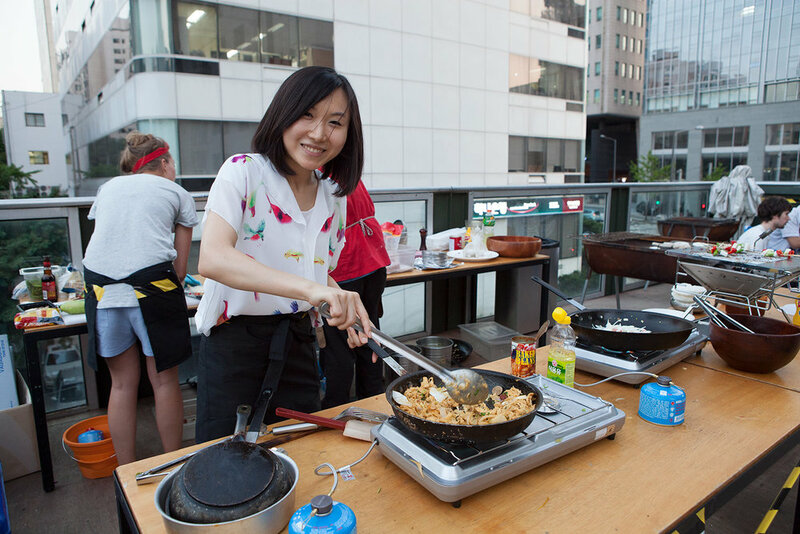 On the rooftop terrace, the food was rescued from dumpsters to create a social dinner cooked by a professional chef. While eating we played the documentary Taste the Waste by Valentin Thurn. Hosting this Food Rescue event took little effort, but it made a big impact. The visitors to the event saw that there are ways to act differently and hopefully they will follow through on this new view and encourage people to re-use. Pay it forward.